Nashville According to our groundbreaking research, French fries are completely delicious. But all too often, they’re marginalized as a side dish. Well, not any more. Here are nine plates of Nashville's crispy ketchup-catchers that are good enough to hog the limelight all to themselves. Gabby’s Burgers and Fries (address and info) Wedgewood There’s really something to be said about a good plate of plain ol’ French fries, and Gabby’s has some of the best in town -- crispy on the outside, fluffy on the inside. Gabby’s also has a ridiculously large selection of various dipping sauces for your fries, as well as more hot sauces than you knew existed. Two Bits (address and info) Demonbreun Hill Two Bits' feta cheese fries were created somewhat by accident and were never intended to actually be a regular dish. However, they were so popular that they were made a permanent part of the menu. 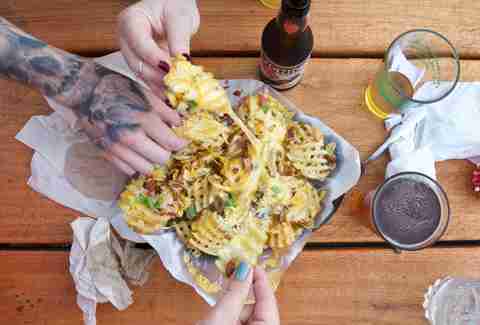 And praise the fry gods for that, because these are some of the most delicious fries in the city. They’re covered in roasted poblano, scallions, and (you guessed it) lots of feta cheese crumbs. 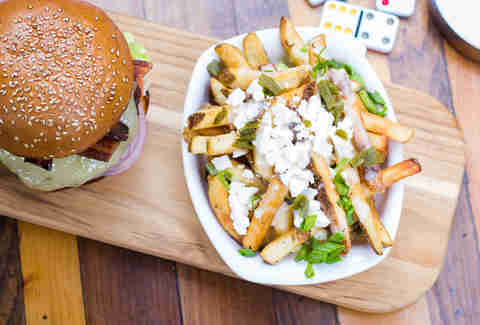 Burger Up (address and info) 12South Anything that has both the word “truffle” and the word “fries” in it simply can’t be anything short of amazing. 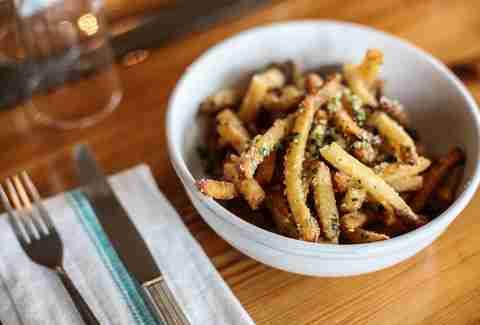 And Burger Up’s truffle fries certainly do not disappoint. They’re freshly made with truffle oil and salt and sprinkled with a bit of herbs. They’re simple, and yet the kind of thing that you could eat endlessly and never get sick of. 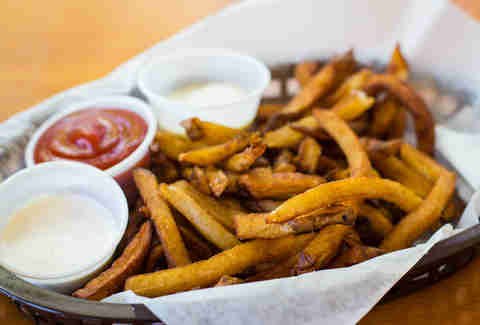 And in case you’re the kind of fry eater that loves a good sauce, make sure to get a side of the homemade honey mustard. 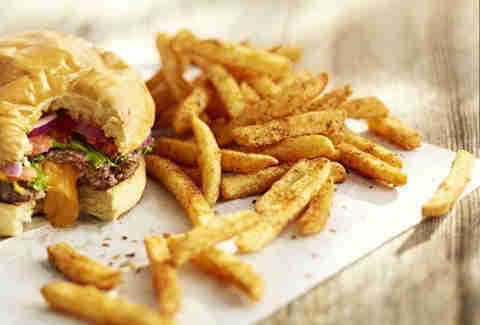 Hoss’ fries are often overlooked simply because of how badass its cheese-stuffed burgers are. However, we’re here to tell you that you should never, ever leave this food truck without a side of the Cajun fries. These fries have just the perfect balance of crispy on the outside, steamy and tender on the inside. And being Cajun fries, there’s a nice extra kick that comes along with every delicious bite. Germantown Cafe (address and info) Germantown It’s true: we’ve mentioned Germantown Cafe’s Big Easy frites a time or two. But only because they’re really THAT good. These house-made fries are COVERED in crawfish étouffée & a ridiculously finger-licking-good crème fraîche. 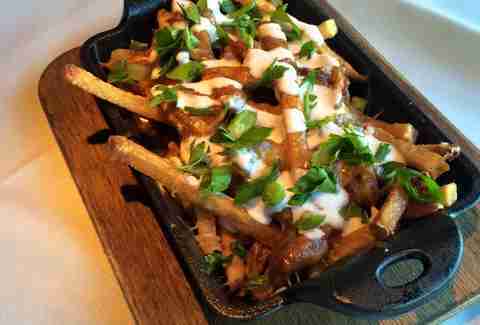 And as if they couldn’t possibly get any better, these fries are a mere $5 on the happy hour menu. 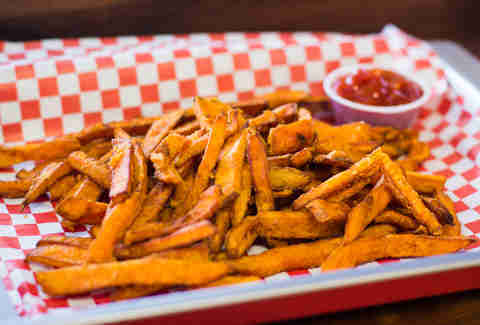 A list of Nashville’s best fries simply would not be complete without some good old-fashioned sweet potato fries. 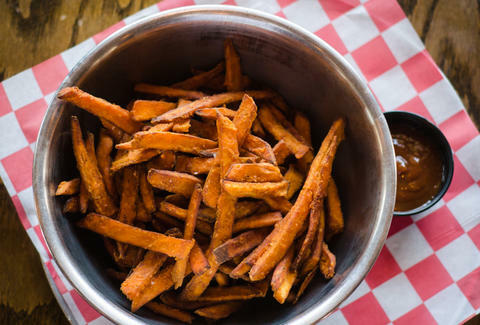 While every good Southern restaurant serves sweet potato fries, we think that Bobbie’s Dairy Dip has some of the best sweet potato fries in the whole city. They’re fried up rather simply and don’t have a lot of frills, but that’s exactly what we love about them. Paradise Park (address and info) Lower Broadway Should you find yourself famished and caught among the honky-tonkin’ tourists on Lower Broadway, you might as well swing into Paradise Park Trailer Resort for some fully loaded chili cheese fries. These make for a great late-night snack in between karaoke bars. 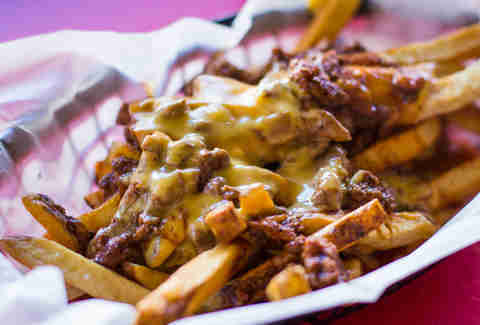 The chili on these fries is a little on the spicy side, so consider yourself warned. Sign up here for our daily Nashville email and be the first to get all the food/drink/fun the Music City has to offer. Brita Britnell is a Nashville writer who now considers burgers to be the Robin to these fries’ Batman. Follow her on Twitter at @BBritnell.